We’ve added 2 new pups to the site today ~ Kita and Mason. 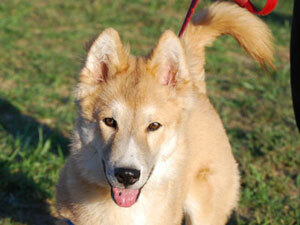 Kita’s story is a sad one, but we hope he will get his very own happy tail soon. Kita joined us when his Mom became too ill to care for him. 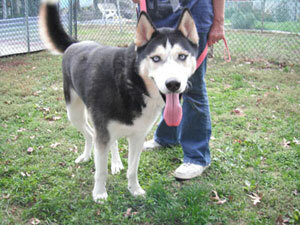 He is an active 3 year old that loves to play with humans and other pups. Check out his video ~ it will certainly make you laugh while you watch him bouncing around chasing a ball! Kita is such a great boy and we hope that he will get his chance at a furever home soon. Mason had spent almost 2 months of his short life in a shelter. When we first met him, he was full of energy and full of himself… He’s now been in his foster home for a little over a month and he’s become a better behaved pup (that still thinks he can take on the world…). He is such a smart boy ~ learning his manners and he is already crate trained. He would do best in a home with another active pup to keep him company. Contact MaPaw if you are interested in learning more about either of these pups!